Afanasiev, K. (1978). A. V. Shchusev. Moscow. Kruglov, N. A. (1928). Konkurs na Biblioteku imeni V. I. Lenina [Competition for V. I. Lenin Library]. Stroitelnaya promyshlennost’, 8, 565. Kuznitsa bolshoi arkhitektury [The forge of great architecture]. (2014). Moscow. Mestnov, A. (1928). Konkurs na sostavlenie proekta novogo zdaniya biblioteki im. V I. Lenina [Competition for the project of the new building of V. I. Lenin Library]. Stroitelstvo Moskvy, 6, 3-4. Sovremennaya arkhitektura [Modern Architecture]. (1929). 7, 19. Stroitelstvo Moskvy [Construction in Moscow]. (1929), 7, 22. KHMELNITSKY, Dmitry. A. V. Shchusev and the Competition for V. I. Lenin Library. 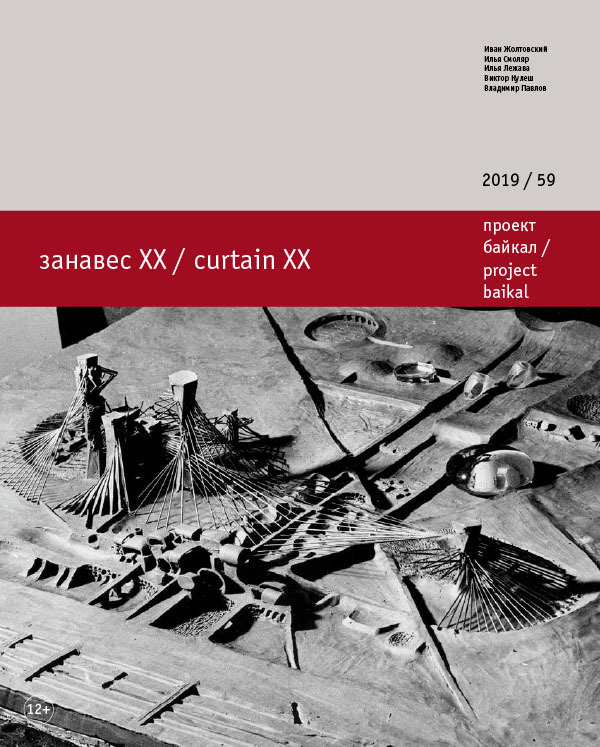 project baikal, Russian Federation, n. 59, p. 76-81, mar. 2019. ISSN 2309-3072. Available at: <http://projectbaikal.com/index.php/pb/article/view/1435>. Date accessed: 24 apr. 2019.